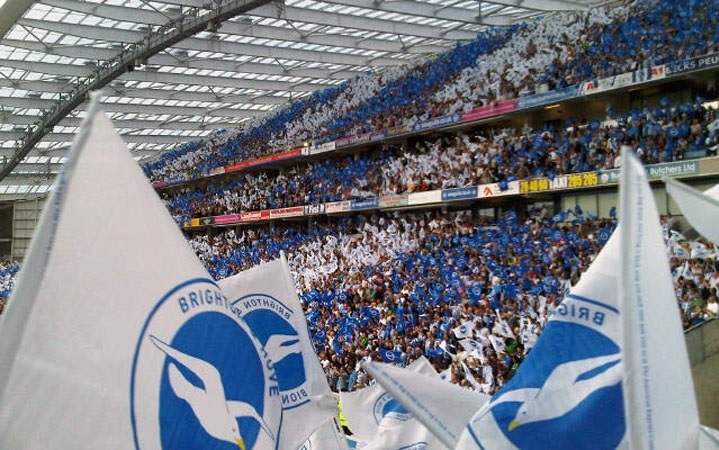 Brighton and Hove Albion’s start to the season has been somewhat of a mixed bag. Currently sitting 12th in the Sky Bet Championship table, the Seagulls’ season so far has been an amalgamation of decent results, dull scoreless draws and deflating defeats. Following on from last season’s solid performances that saw them end the season sitting comfortably in 4th, many expected Brighton to come out fighting, using the heartbreak of the play-off defeat to rivals Crystal Palace as inspiration for an immediate siege towards the upper section of the league. Unfortunately for the club, Brighton’s early season climb towards the top failed to materialise. Partly due to the arrival of new manager Oscar Garcia and the furore surrounding the summer departure of former boss Gus Poyet, Brighton could not get started. The opening weeks of the 2013/14 season saw Brighton fail to take points from the likes of Leeds, Derby County and a struggling Millwall. Combined with the Capital One Cup humiliation at the hands of League Two Newport County, Brighton’s form in the early stages was borderline dismal. Injuries have played a considerable hand, too. Long-term casualties Craig Mackail-Smith and Will Hoskins are notable absentees, and influential midfielder Liam Bridcutt’s absence took away the steel in the middle of the park that was a staple of Brighton’s play last term. While the likes of attacking duo Leonardo Ulloa and Will Buckley provided some relief for the Amex faithful, they could not fill the obvious gaps in the side that has been left ravaged by an extensive injury list. Thankfully, as we enter the crucial Christmas period, Brighton have started to show signs of turning the corner. Impressive results against Watford at home and away to Doncaster Rovers may have provided the impetus for Brighton’s kick-start to their season, while the recent loan acquisition of Leroy Lita from Premier League Swansea City may be the first step towards boosting the sub-par options up front, Ulloa aside. With a relatively difficult fixture list seeing Brighton take on Blackburn, Wigan and the surprise package of the season so far in Bournemouth over the next few weeks, it remains to be seen whether Oscar Garcia’s side can amount a serious charge towards, at the very least, the Championship play-off places. It is certain, however, that if Brighton and Hove Albion continue their early season form, the play-off places will remain out of reach, and the possibility of promotion to the Premier League may be relegated to a pipe dream.